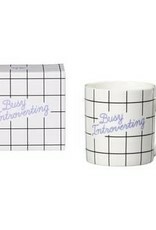 New bone china mug with white handle and grid pattern. 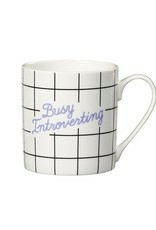 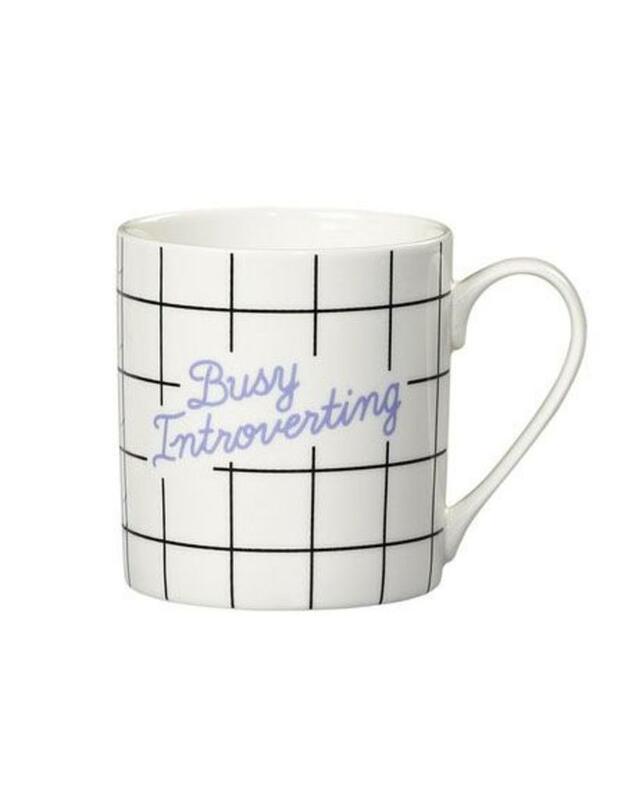 Reads 'Busy Introverting' in lilac. 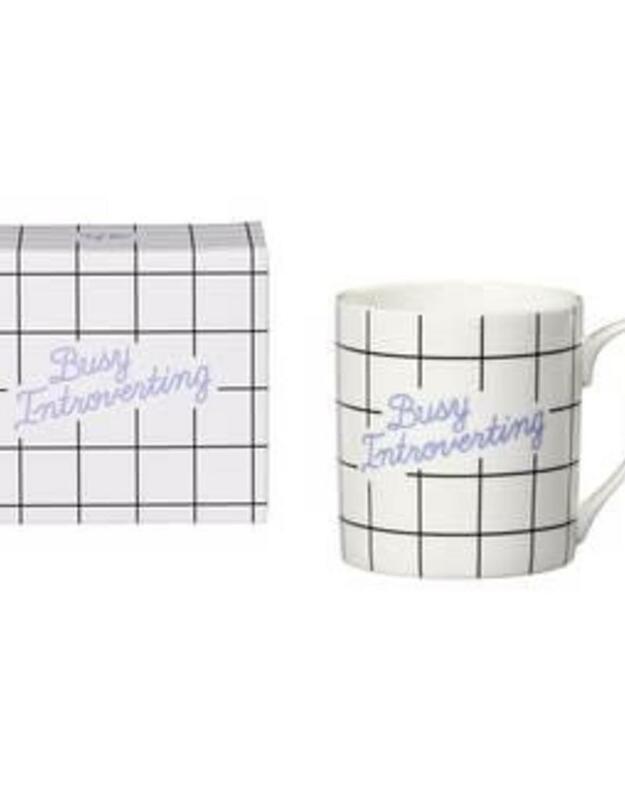 Packaged in a matching gift box.